A goldfish is the best-known pond fish. It feels quite at home in a pond. It is a colour variety of the carp species carassius gibelio and it is a cheap, strong and hardy pond fish. 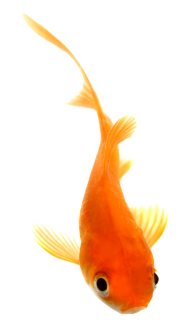 Under the right conditions goldfish can reach a length of 14 in. This carp like fish was imported into Europe from China in the 17th century. In Asia the fish have been raised as ornamental fish for over 4000 years, however, also as fish for consumption. The best-known goldfish include the Sarasa fish and the comet tail. The common goldfish is a slow swimmer and is living chiefly by vegetable food, although it also eats small aquatic animals. The larger specimens may cause turbidity of the water owing to their rooting in the bottom. It is important when keeping the fish to keep the population under control, because the fish propagate quickly and easy. As a consequence of this there will be too many fish in your pond after a few years and there will be problems with respect to biological equilibrium. The newborns initially are black. Later on they change colour. Besides orange there are red, yellow and even white variants. Always purchase the fish in a small group of at least five fish, However, not more than five fish per 1,000 litres of water. 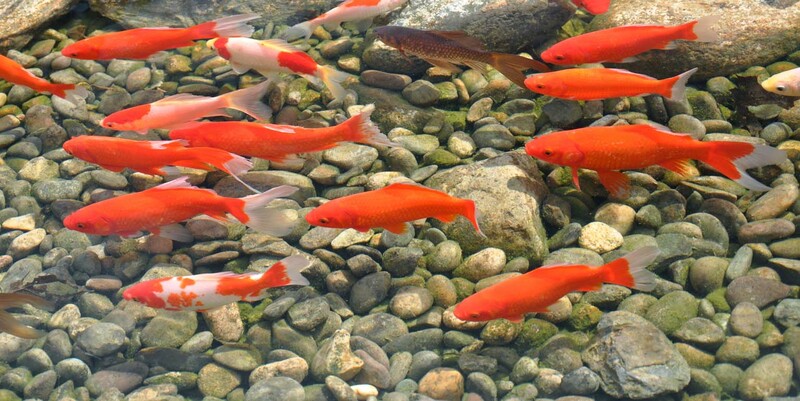 For goldfish your pond should be at least 40 in deep, in order to keep the temperature for the fish in the pond as constant as possible, enabling them to hibernate. Goldfish like easy digestible feed. Special fish feed has been developed fish, including goldfish. Goldfish are a favourite prey for herons and cats. There are different animal-friendly solutions to protect your goldfish against hunters. In this way you take care that herons and cats are kept on a distance.